The study found women Alzheimer's disease patients have 16% higher Medicare costs and 70% higher Medicaid costs than male patients over their lifetime. An Emory study published today in the journal Women's Health Issues finds women bear six times the cost of Alzheimer's disease (AD) care, per capita, that men do. The authors say the greater cost burden is largely due to the informal care women deliver to family members with AD. Alzheimer's disease is a progressive brain disorder that slowly destroys memory and thinking skills and is ultimately fatal. It is also one of the most expensive diseases in our country—more costly than heart disease or cancer. Authors Zhou Yang, PhD, assistant professor in Emory's Rollins School of Public Health, and Allan Levey, MD, chair of the Department of Neurology and director of the Emory Alzheimer's Disease Research Center, used a lifetime perspective to calculate AD costs and looked at three factors: the probability of developing the disease, the disease's duration, and the formal and informal care needed for the AD patient. 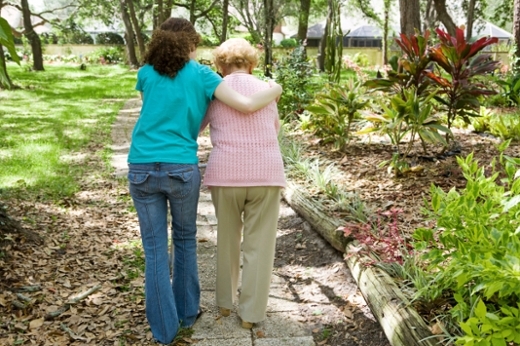 "There is strong evidence that women face higher risks of being affected by Alzheimer's as either patients or informal caregivers," says Yang. "It is critical to develop public policy interventions aimed at curing or slowing the progress of the disease to benefit the health and economic welfare of women everywhere." Yang and Levey used 2000-2010 data from the nationally representative Medicare Current Beneficiary Survey to calculate costs for clinical care paid by Medicare, long-term-care costs paid by Medicaid, out-of-pocket costs for care at home, and the costs of informal, uncompensated costs. They found women AD patients have 16% higher Medicare costs and 70% higher Medicaid costs than male patients over their lifetime. And the greatest gender difference was in the cost of uncompensated informal care, where a female family member of a male AD patient will bear a burden six times greater than a male family member of a female AD patient. Yang and Levey initiated the study in coordination with WomenAgainstAlzheimer's, an advocacy group committed to stopping Alzheimer's by 2020. "This is the first study of its kind to document the disparate economic impact of Alzheimer's on Women as patients and caregivers and the concomitant burden on our public health systems," said Jill Lesser, President, WomenAgainstAlzheimer's. "It illustrates the urgent need to reform reimbursement policies for Medicare, Medicaid and long-term care and alleviate the public and private impact of this tragic disease that burdens families for decades."